Yanbei Chen is studying for a PhD in Computer Science. 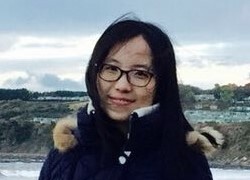 Her research is mainly focused on deep learning for surveillance video analysis and she is a member of the school's Computer Vision Research Group. Why did you choose to study for your PhD at Queen Mary? I choose to study at Queen Mary because I find the research topics of our current computer vision group are very interesting and promising. The head of my research group, Professor Sean Gong, leads a successful research group that attracts a wide audience. Queen Mary is the first university in Europe to install the deep learning supercomputer dgx1, which is a great attraction for research students. How does your research group support your research? I feel grateful that our research group is very supportive of everyone’s research. My supervisor always provides very insightful advice to motivate my research and my co-operator is always willing to share his experience to improve my work. We also have a great research system group. The research system officers build a great deep learning platform that helps us a lot in research. What is the best thing about the programme? The best thing about my PhD programme is the people: my supervisor, my friends, our research group. Working and having fun with them means I'm having the best time at Queen Mary. What’s the most interesting thing you’ve done on your programme? There are quite a lot of interesting things. One of the most interesting thing is to become a TA (teaching assistant) for a course named “Deep Learning and Computer Vision”. As a TA, I have given a tutorials to a class of students. I really enjoy communicating with students and I'm also learning a lot from their way of exploring new frontiers of knowledge. How is studying for your PhD at Queen Mary preparing you for your future career? Queen Mary prepares us step by step as a research student. We have our PhD stage reviews and viva at different stages to ensure that we are on the right track in our PhD research. In our lab, after the research training process as a PhD student, many of the graduated PhD students continue their research career as a post doc in academia. What is your favourite moment at Queen Mary so far? Many of my favourite moments in Queen Mary are the thrilling moments when we made new research progress, such as coming up with a novel idea, finishing writing a paper, presenting our works to the audience. Making research progress is never an easy task; but once we make it, it is a feeling to cherish.